Trump has previously criticized John Kerry for "cycling"
Real estate mogul Donald Trump defied expectations yet again when he showed up for a grueling 7:30AM SoulCycle session on Friday morning. Trump sweated along with his wife and 15 other fitness-conscious New Yorkers at a studio in lower Manhattan. "I go there almost every morning to get an inspiring start to my day, and I've seen a few celebs, but never anyone as famous as Donald Trump," said Allison Selva, a financial analyst at Morgan Stanley. "I'd recognize his hair and mannerisms anywhere, you know?" Trump has a complicated relationship with cycling. 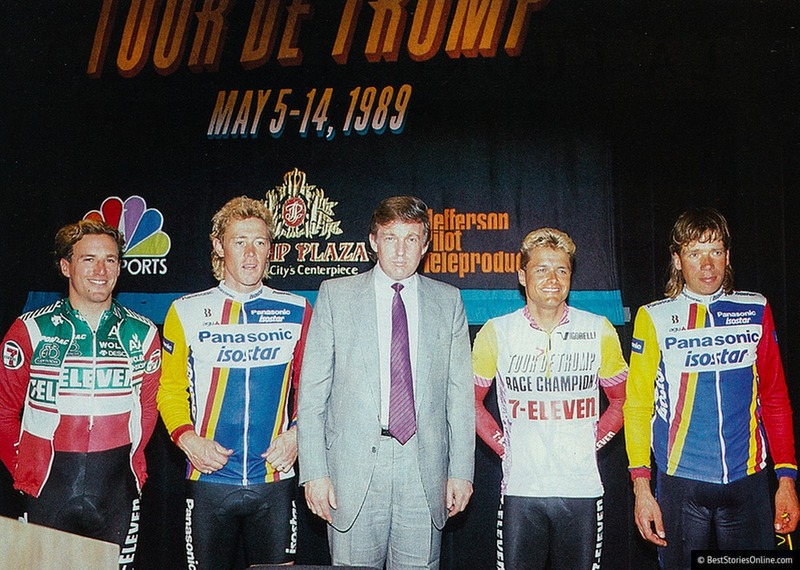 In the early nineties, he sponsored the so-called "Tour de Trump", an American bike race that he claimed would soon be more popular than the storied "Tour de France". Unfortunately for American fans, the "Tour de Trump" went bankrupt after just two years. Analysts say that participating in a SoulCycle class is a surprising move for Trump. Some critics have already suggested that the decision echoes his "flip-flopping" on issues such as abortion and universal health care. 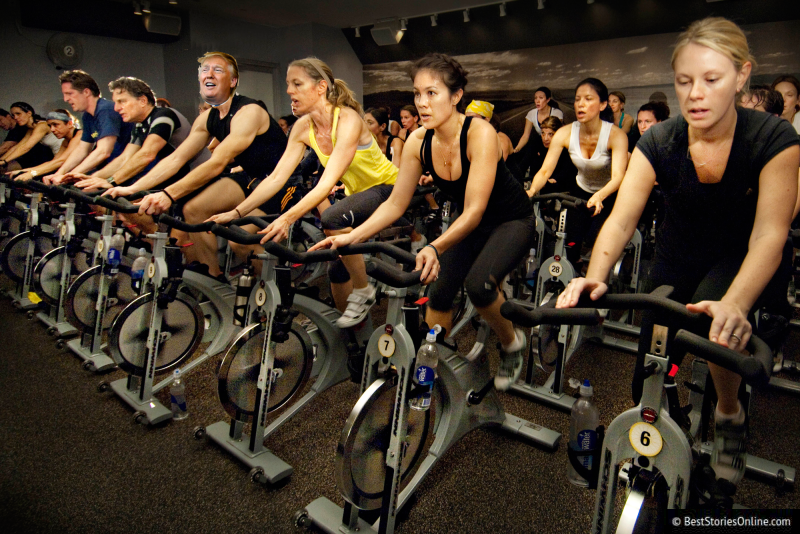 SoulCycle is an indoor cycling workout class where participants ride stationary bikes in cadence with 'the pack'. It is often styled as a spiritual experience. The expensive classes tend to attract high-performing, wealthy individuals, especially at the Financial District studio near the Trump Building at 40 Wall Street where "The Donald" and his wife were seen. "He gave a good effort," Mrs. Selva told Best Stories Online. "He wasn't going to let anyone see him quit." But near the end of the class, Trump's positive outlook changed. He began to loudly criticize the choice of Lana Del Rey's new single, "High by the Beach", as part of the workout's playlist. "Who is this, Lana Del Rey?" Trump reportedly said. "She's been having a rough year. She's totally useless." According to sources at the scene, Trump stormed out of the studio before the end of the recommended "cool down" period. His spouse Melania followed closely behind. Some of Trump's fellow cyclists speculated that Melania may have pressured Trump to attend the class. Lana Del Rey, the stage name of Elizabeth Grant, produces melodic pop music with sexually charged lyrics. She was not available for comment on Trump's statement.